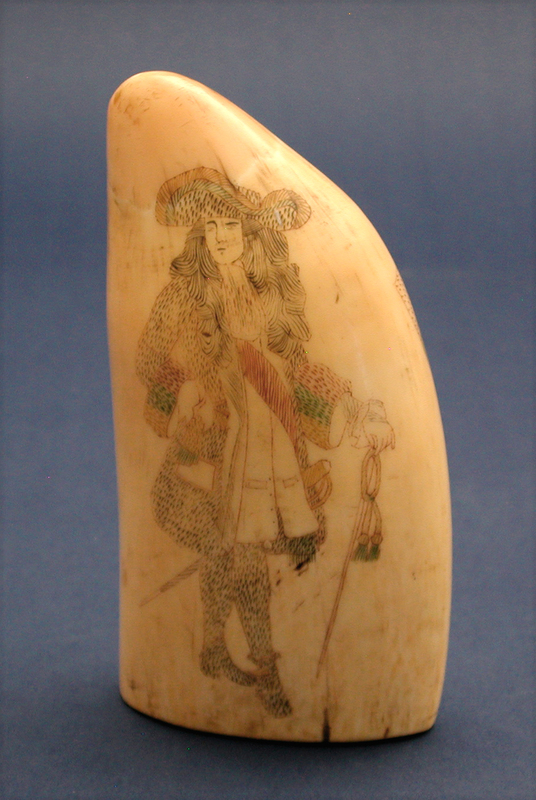 19TH CENTURY SCRIMSHAW TOOTH with polychrome colored scenes on both sides. One side with a half portrait of a young woman wearing an elaborate dress. She is within an oval border that itself is within a rectangular frame that has decorative corners. Reverse with a full portrait of a young man in princely attire who is wearing a sword and carrying a walking stick. Everything meticulously colored in red, green, tan and black. The tooth is nearly 100% solid and measures 5 1/2" h. x 3" w. Condition excellent. Lovely age patina. 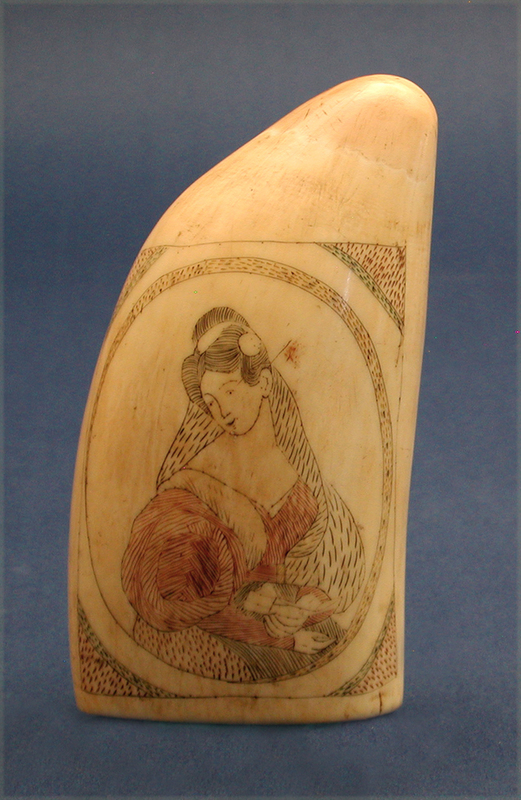 Circa 1840-50.